This registration fees include: acces to the Symposium (3 days, plenary sessions), 2 coffee breaks and one lunch per day, and the documentation (programme, handbook). That does not include: accommodations, acces to the conference diner and the proceedings. How to register at the Scientific Symposium ? PLEASE NOTE : if you have made an online pre-registration before the 30th of June 2011, you will have to make the final registration upon receiving the CERCO agreement. Either using the on line registration form. Payment by credit card is required to validate your registration. You can also, with this electronic module, book your accommodation (at a prefential rate). Either using the paper registration form, you have the possibility to pay with others methods of payment. You can also book your accommodation (at a preferential rate). The final registration is validated as soon as the payment and the form are received. In any case, you will receive a registration confirmation. 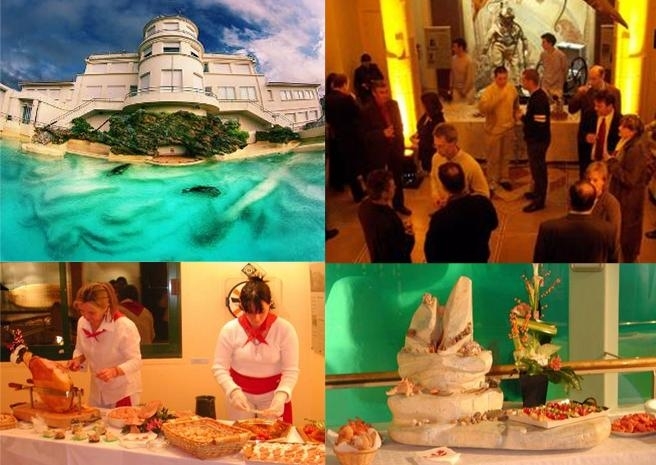 How to find an Hotel in Biarritz ? To come to the symposium ? Location of the meeting place, gala dinner and main hotels on the googlemap. The Museum of the Sea in Biarritz, whose extension was inaugurated on June 25th, 2011, introduces species from the Bay of Biscay as well as tropical in its 25 aquariums, of which 2 large pools of 300 and 1500 cubic metres. 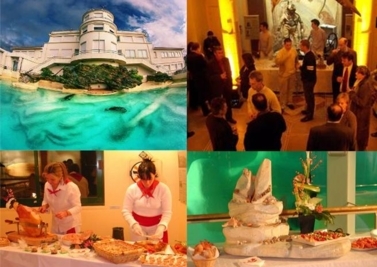 The organisation committee of the symposium, will be pleased to welcome you in this art deco building from 1933, for a gala dinner in an exceptional surrounding, on the esplanade of the Rock of the Virgin facing the ocean.